Frasassi Caves: when nature leaves you speechless. You are here: Home / Frasassi Caves: when nature leaves you speechless. 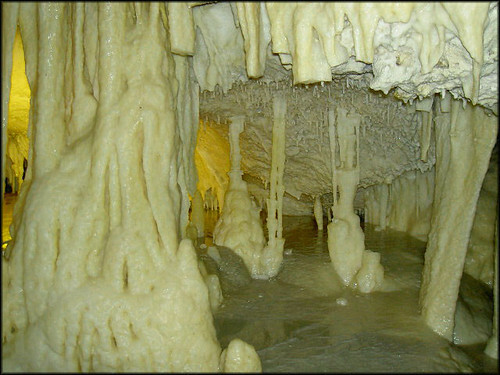 Frasassi Caves are underground karst caves and they are very famous for their beauty. These are located in the Italian region Marches, in the province of Ancona, in the Regional Natural Park of Gola della Rossa and Frasassi. These caves offer an underground tour among the most important in the world thanks to their beauty and their geological significance. The caves are developed over 8 geological levels and have an extension of about 30 km made of caves and narrow passages. The beauty of this subterranean landscape comes from the huge stalactites and stalagmites that formed over the centuries. Visitors have access to only 5 caves, which are spread over 1500 meters in length. The first cave is called Abisso Ancona (Ancona Abyss). This is one of the largest cave in the world. Estimating or sensing its magnitude is a main difficulty visitors may encounter. There are no “urban” points of reference, allowing for immediate calculation of its amplitude by a simple comparison. To help, we can only say that from the top of the cave, approximately in the centre, hangs a stalactite. Well this is more than 2,50 meters long, so when you get there, please keep that in mind. Most people calculate its length as half a meter! The second cave is called Sala del 200 (room of 200). This takes its name from its length: 200 meters. The next cave is called Grand Canyon. This is crossed by great fissures (hence the name), from which the water of an underground river flows. The fourth cave is called Sala dell’Orsa (Bear’s cave). Here are some underground wells from which sulphurous waters spring. Finally there are Sala Pagliai (Pagliai Cave) and Sala Infinito (Infinity Cave). To exit the cave you must go back on the same path. This path is the classic one suitable for every type of tourist, from children to the elderly people. This tour lasts approximately 1 hour and 20 minutes. However, it is possible to follow other paths that go beyond the Sala Infinito. These tours must be booked in advance. They are cave tours lasting up to 3 hours and allowing visitors to get deeper into the mountain, often walking on their knees, and to find out other caves of this stunning labyrinth. 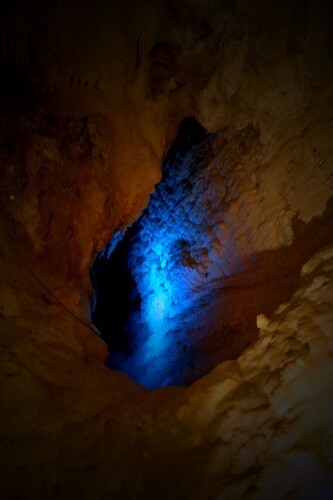 – The temperature in the caves is constant, at around 14/15 degrees. It is therefore advisable to bring a sweater to wear inside even in summer. – All visits are guided and visitors are grouped. The departure are at fixed times. – The area is fully equipped. There is ample parking and a shuttle connecting the parking and the ticket office. – It is not allowed to take photos or any type of film. – Once the tour is over you can visit the archaeological museum, whose entrance is included in the ticket of the caves. – The caves are open every day. Depending on the season of the year, hours may vary. – One ticket costs 15.50 euros. – Special tours range from 25.00 euros to 45.00 euros.